An electronic entrance monitoring device, which creates an invisible infrared beam between the two units up to 20 metres apart. Alarms when someone moves through the beam. 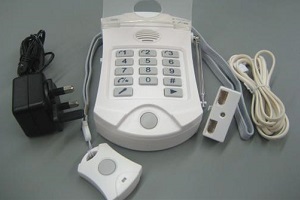 A wireless calling alarm system with one main receiver unit and two pendant calling transmitters. There is a call button and a panic button on each pendant. 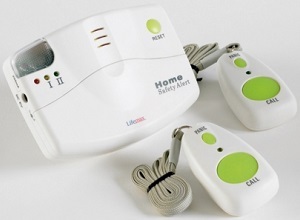 The main unit receives and recognises who is calling and the urgency from different sound and coloured light signals. Up to 30 metre range. Mains unit receives panic signal from the remote pendant and auto dials up to three numbers. 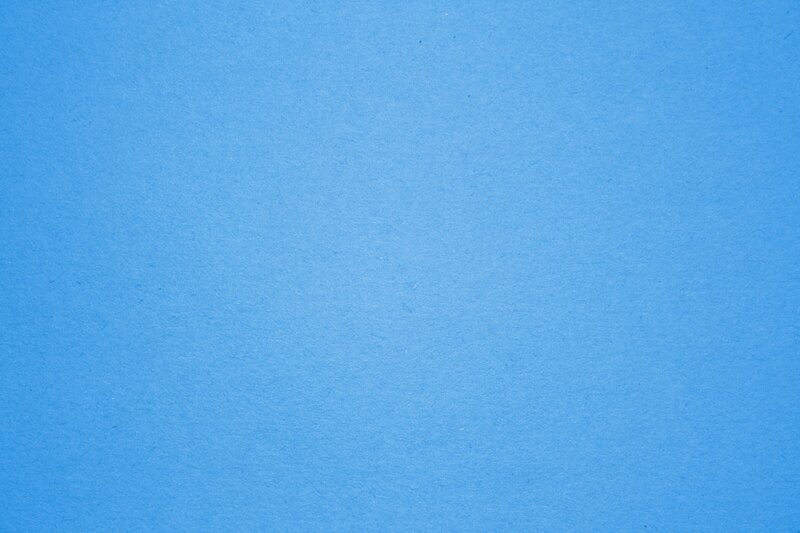 Easy set up and record your own "help me" message. Two way hands free voice communication. 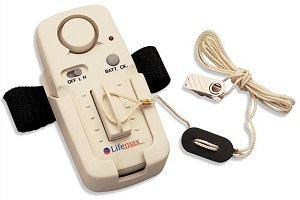 Range between panic button and main unit of up to 50 metres. A local alarm system for fall management. It has a magnetic switch with a cord and clip which attaches to clothes. A versatile fall management system. 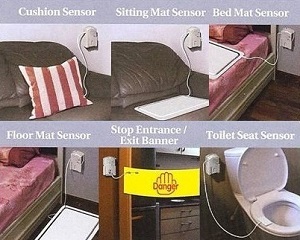 Bed, chair and entrance alarm options with voice function. 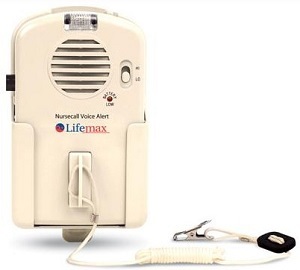 Record your own alert message in a voice familiar to the patient.